The Year 2014 ended in a sober note with Court of Arbitration for Sport dismissing FC Barcelona's appeal against a two window transfer ban imposed by FIFA. For many who followed the entire chronicles of event this come has no surprise. Only the extremely optimistic believed that the transfer ban will be revoked or at least reduced. Now with the transfer ban in place Barca cannot sign any players in January 2015 (which we hardly do!) and summer of 2015. The summer transfer ban would be the one which will hurt us a bit. As I wrote earlier, this ban could force the management, who notoriously have a habit of not trusting La Masia, to trust our kids again. If there any other team who could overcome such a transfer ban, then it has to be FC Barcelona. And that's all down to the strength of our recruits at La Masia. 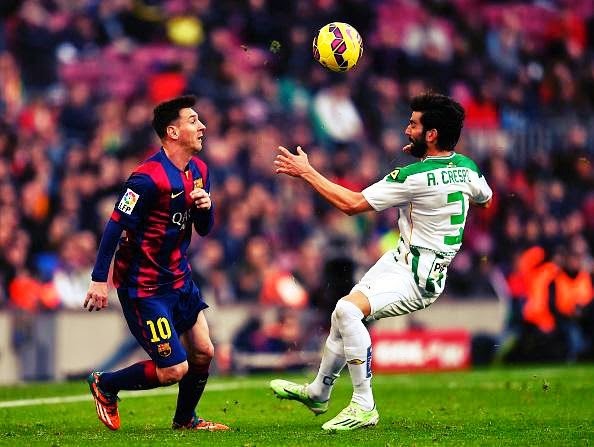 Lionel Messi's brilliant finish scoring the second goal and Barca's fifth against Cordoba. 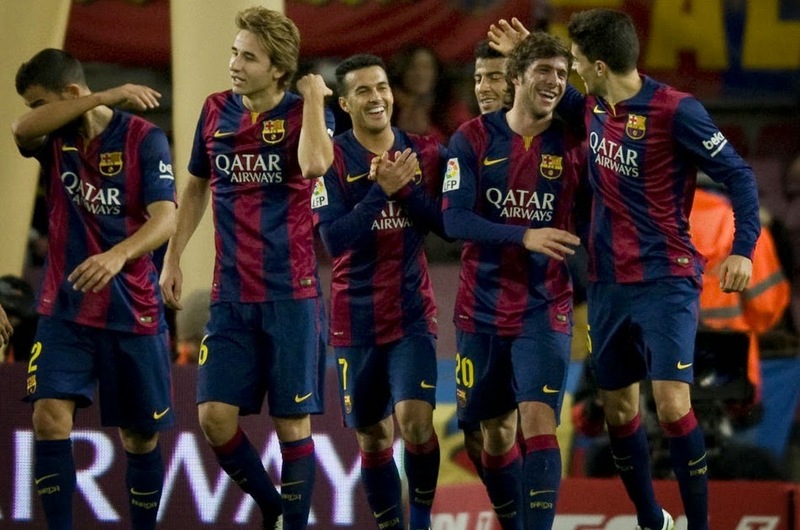 FC Barcelona qualified for the next round of Copa del Rey with a 12-1 aggregate victory over Huesca. The tie was more or less sealed in the first leg when we won 5-0 away from home. But that didn't stop the young turks of Barca from going for the kill. Barcelona Futbol Club has been paired once again with Manchester City at this season's UEFA Champions League Round of 16 knock-out stage. 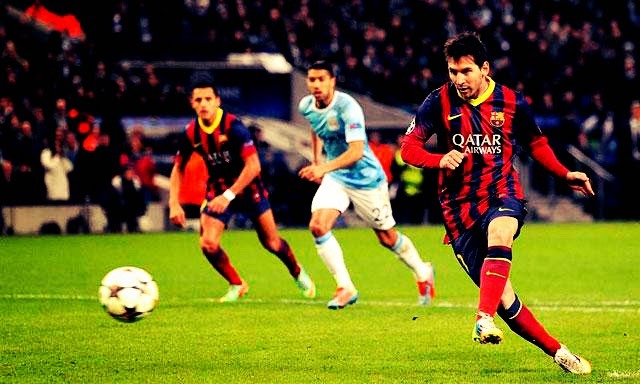 It's a repeat of last season's face-off, in which a Messi inspired Barca energed comfortable winners. Manchester City struggled through the Group stage but that should not be taken on face value, as on their day they could be quite devastating. 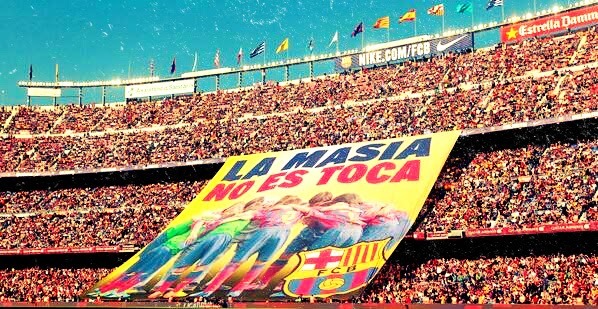 Many Cules are actually angry at the constant tough luck being presented on Barca. Once again we got the toughest draw whereas the two Spanish teams from Capita got relatively easier opponents, incidently both German. Schalke vs Real Madrid will be once again a repeat of last season's knowck out stage, and barring any miracle Schalke could get murdered again. Meanwhile Atletico got the other German team, Bayern Leverkusen - a macth they should win without much sweat.